This is my husband’s creation, utilizing herbs from the garden, which my youngest daughter never fails to request whenever we decide to have a big breakfast on the weekend or when we have breakfast for dinner. 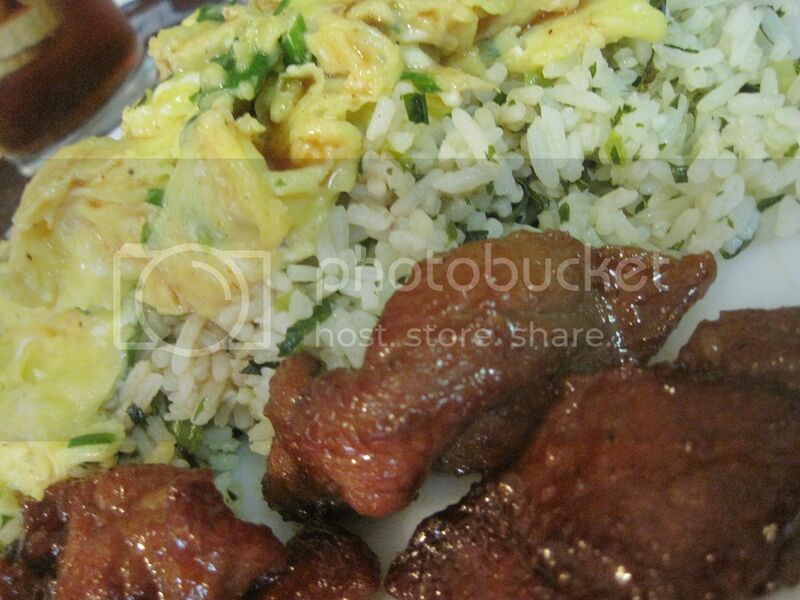 In the photo above, we had it with homemade tocino and scrambled eggs for a very filling breakfast. 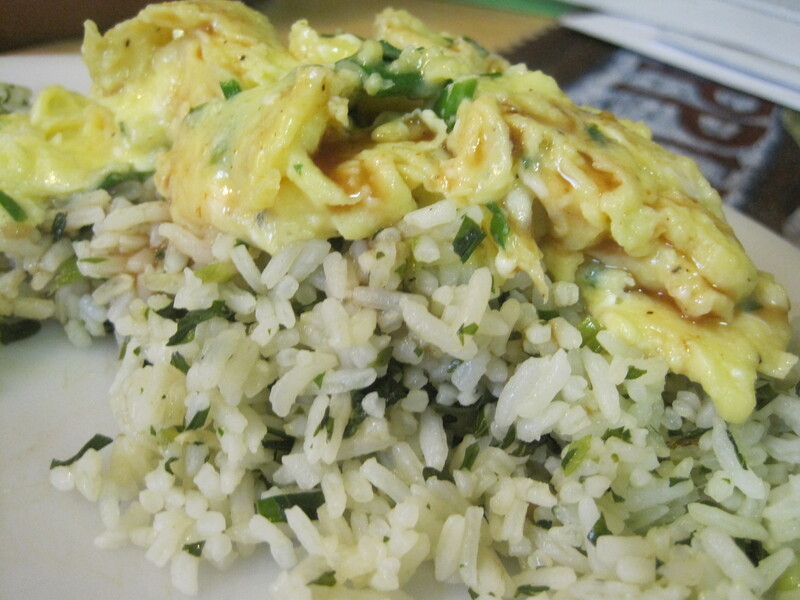 Fried rice with a variety of garden herbs. In a large skillet, heat up the oil. Add the garlic and herbs and fry them up for a minute or until they turn bright green and become fragrant. Add the rice, and stirfry until thoroughly heated through. Season with salt according to your preference.